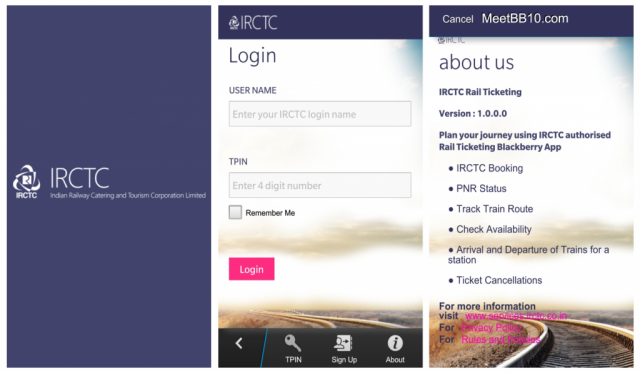 IRCTC had launched a new mobile application to book tickets for BlackBerry 10 users. IRCTC had launched this app to give superior experience to its customers for an easy and streamline train booking service. 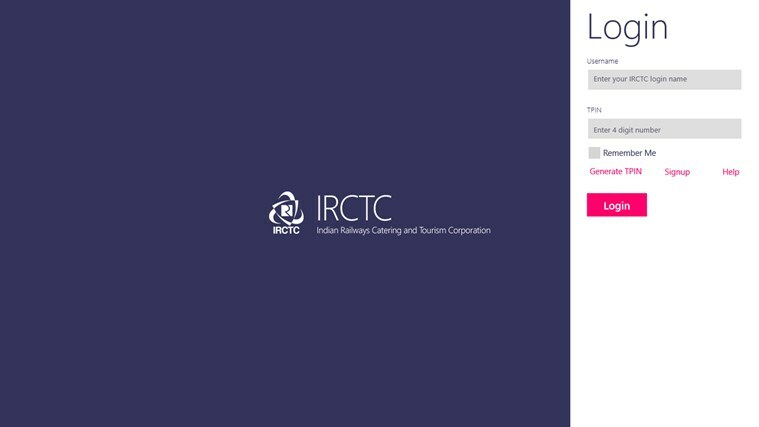 It is also to be noted that on an average around 7000 tickets are booked on its website per minute and altogether 5 lacs tickets are booked on daily basis and this app would simply help IRCTC in serving more customers. On the BlackBerry World the IRCTC app is listed under the Navigation & Travel section and its size is just five mb. 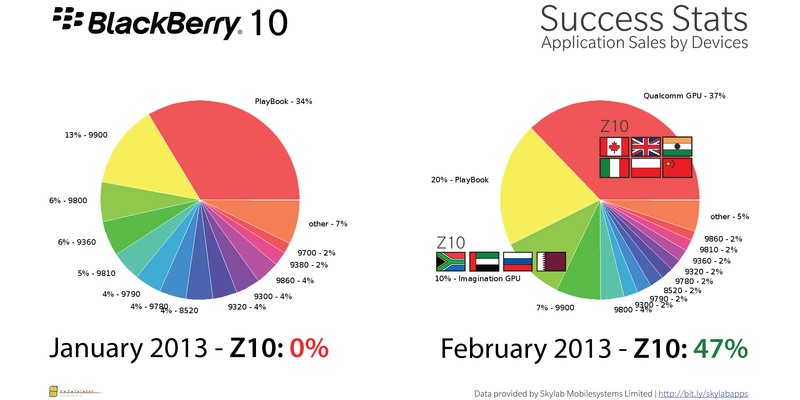 This IRCTC app for BlackBerry 10 allows a the users to book railway tickets, checking the reservation status of their tickets, train schedules, train routes, cancellation, booking history, availability of tickets, recent history, favourites and many more. An IRCTC official had asserted that this app is extremely user friendly and easier to use. Over the time the number of tickets booked through e-ticketing system on IRCTC website had increased tenfold. CRIS is the technical arm of the railways which is involved with the upgrading and maintenance of the IRCTC website. Another important statistics shows that within a year around 31 crore reserve tickets gets booked by Indian Railways out of which 55 per cent tickets are sold from the traditional ticketing windows while 37 per cent are booked online. This IRCTC app would give the users the freedom of booking tickets and checking the status of their tickets in a simple and fluid manner. IRCTC understands that the people are more willing to use the technology for booking tickets for their journeys. 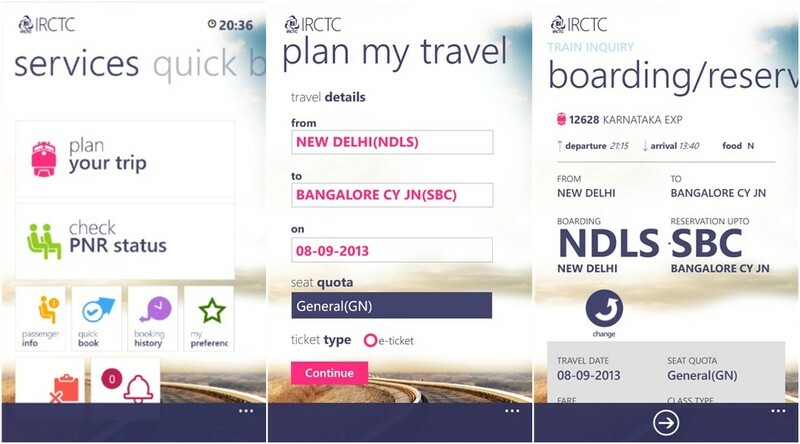 In the recent past IRCTC had also launched exclusive mobile application for the Windows Phone and Windows 8 devices in collaboration with Microsoft. All these apps are could be downloaded for free from their respective online stores.